NYC, 11/09/2018, 1:00PM. 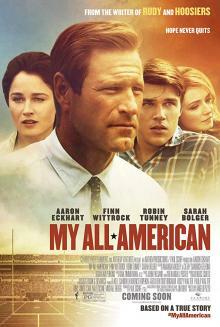 My All American (2015): A biographical sports drama based on a book. Starring Aaron Eckhart, Finn Wittrock, Robin Tunney.